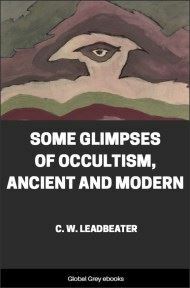 Chapters include: How These Things Are Known; The Planes of Nature; Clairvoyant Sight; Man's Vehicles; The Trinity; The Earlier Outpourings; The Animal Group-Soul; The Upward Curve; Human Consciousness; The Third Outpouring; How Man Evolves; What His Bodies Show Us; Colors and Their Meaning; The Counterpart; Early Stages of Man's Development; The Ordinary Person; Sudden Emotions; More Permanent Conditions; The Developed Man; The Health-Aura; and, The Causal Body of the Adept. Man is a curiously complex being, and his evolution, past, present and future, is a study of perennial interest for all who can see and understand. Through what toilsome eternities of gradual development he has come to be what he is, to what round in the long ladder of his progress he has now attained, what possibilities of further progress the veil of the future conceals from us, these are questions to which few can be indifferent—questions which have been occurring all through the ages to everyone who has thought at all. In the Western world the answers given have been many and various. 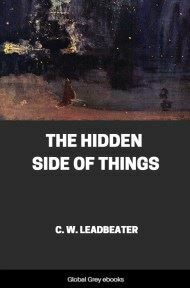 There has been much dogmatic assertion, based on differing interpretations of alleged revelation; there have been many ingenious speculations, the fruit in some cases of close metaphysical reasoning. But dogmatism meets us with a story which is on the face of it manifestly impossible, while speculation moves chiefly along entirely materialistic lines, and endeavors to arrive at a satisfactory result by ignoring half of the phenomena for which we have to account. Neither dogmatism nor speculation approaches the problem from a practical point of view, as a matter which can be studied and investigated like any other science. 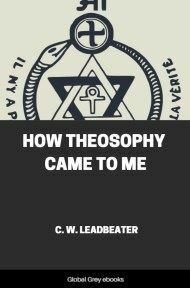 Theosophy comes forward with a theory based upon entirely different foundations. While in no way depreciating the knowledge to be gained either by study of the ancient scriptures or by philosophical reasoning, it nevertheless regards the constitution and the evolution of man as matters, not of speculation, but of simple investigation. When so examined, they prove to be parts of a magnificent scheme, coherent and readily comprehensible—a scheme which, while it agrees with and explains much of the old religious teaching, is yet in no way dependent on it, since it can be verified at every step by the use of the inner faculties which, though as yet latent in the majority of mankind, have already been brought into working order by a number among our students. For the past history of man, this theory depends not only upon the concurrent testimony of the tradition of the earlier religions, but upon the examination of a definite record—a record which can be seen and consulted by anyone who possesses the degree of clairvoyance requisite to appreciate the vibrations of the finely subdivided matter upon which it is impressed. For its knowledge as to the future which awaits humanity, it depends, first, upon logical deduction from the character of the progress already made; second, on direct information supplied by men who have already reached those conditions which for most of us still constitute a more or less remote future; and third, on the comparison which anyone who has the privilege of seeing them may make between highly evolved men at various levels. We can imagine that a child who did not otherwise know the course of nature might reason that he would presently grow up and become a man, merely from the fact that he had already grown to a certain extent and in a certain way, and that he saw around him other children and young people at every stage of growth between his own and the adult level. 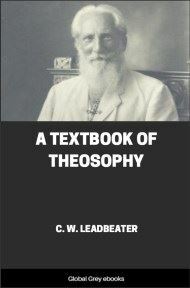 The study of the condition of man at the present time, of the immediate methods for his evolution, and of the effect upon that evolution of his thoughts, his emotions, his actions—all this is regarded by theosophical students as a matter of the application of well-known laws as a broad, general principle, and then of careful observation, of painstaking comparison of many cases in order to comprehend the detailed working of these laws. 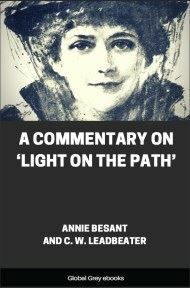 It is, in fact, simply a question of sight, and this book is published in the hope, first, that it may help earnest students who do not yet possess this sight to realize how the soul and its vehicles appear when examined by its means; and second, that the persons who are now beginning to exercise this vision more or less perfectly, may by it be helped to understand the meaning of what they see. I am perfectly aware that the world at large is not yet convinced of the existence of this power of clairvoyant sight; but I also know that all who have really studied the question have found the evidence for it irresistible. 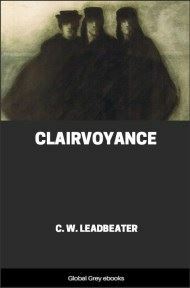 If any intelligent person will read the authenticated stories quoted in my book Clairvoyance, and will then turn from them to the books from which they were selected, he will see at once that there is an overwhelming mass of evidence in favor of the existence of this faculty. To those who themselves can see, and are daily in the habit of exercising this higher vision in a hundred different ways, the denial of the majority that such sight is possible naturally seems ridiculous. For the clairvoyant the question is not worth arguing. If a blind man came up to us and assured us that there was no such thing as ordinary physical sight, and that we were deluded in supposing that we possessed this faculty, we in our turn should probably not feel it worth while to argue at great length in defense of our supposed delusion. We should simply say: "I certainly do see, and it is useless to try to persuade me that I do not; all the daily experiences of my life show me that I do; I decline to be argued out of my definite knowledge of positive facts." Now this is precisely how the trained clairvoyant feels when ignorant people serenely pronounce that it is quite impossible that he should possess a power which he is at that very moment using to read the thoughts of those who deny it to him! 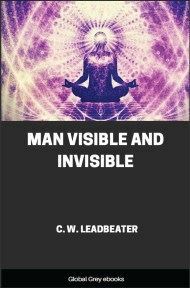 I am not attempting, therefore, in this book to prove that clairvoyance is a reality; I take that for granted, and proceed to describe what is seen by its means. Neither will I here repeat the details given in the little book which I have mentioned as to the methods of clairvoyance, but will confine myself to such brief statement of the broad principles of the subject as is absolutely necessary in order that this book shall be comprehensible to one who has not studied other theosophical literature.